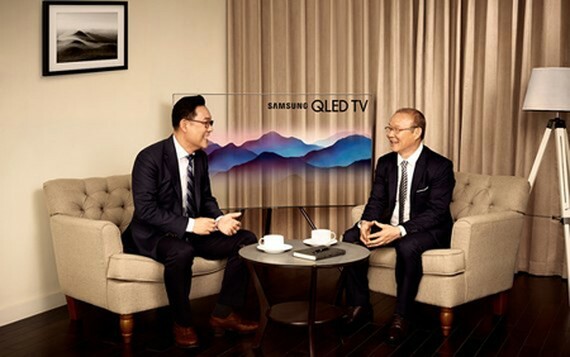 Samsung Vina Electronics Co., Ltd announced on March 27 that South Korean head coach of the Vietnamese national U23 football team Park Hang Seo was selected as Samsung’s brand ambassador in Vietnam. Head coach Park Hang Seo will accompany promotional campaigns for Samsung products as well as other social activities of the company in Vietnam during 2018. 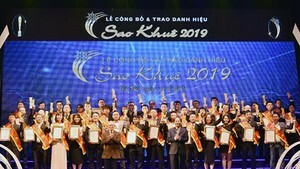 His success could be considered as a source of inspiration for creativity of cutting- edge technological and digital advancements in order to make life more comfortable and meaningful for the Vietnamese. South Korean coach Park Hang Seo was invited as the head coach of the Vietnam national U23 football team and the Vietnam national Olympic football team for 2 year term in October 2017. He has been considered as a talented coach since he led the U23 football team to the second position in the AFC U23 Championship 2018. In the announcement event for Samsung’s brand ambassador, head coach Park Hang Seo shared that he hoped in his new role of being a brand ambassador of Samsung, he would bring about a new inspiration to Vietnamese fans, and that he would ignite the spirit of daring to create new extraordinary achievements in order to become the best.